Private or semi-private lessons are available in my home studio located on the North Fork of Long Island, New York, or in your home if you are within a reasonable driving distance. For more information about private and semi-private lessons, please click here. Please send me an email if your group is interested in a lesson or workshop. I will provide a suitable work space if you are located in my area. If you are not located within a reasonable driving distance of the north fork of Long Island, I will travel to your location; the rental of a suitable space plus my travel expenses and any hotel charges, if necessary, will be your group’s responsibility. Each of my presentations is a power point “slide” show lasting about 45-50 minutes. 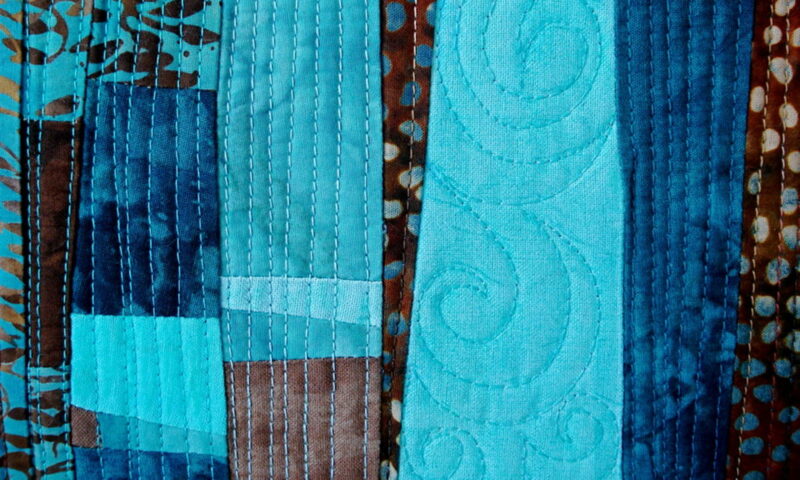 Afterwards, I will present a mini-trunk show of ten to twelve quilts and/or wallhangings and audience will be invited to come closer to see the details and ask questions if they wish. Touching is allowed! Please click here for my brochure to share with your guild’s program chair.